Weight: 7 lbs 13 oz. Paypal, credit card (Visa or Mastercard), bank wire or personal check. All personal checks must clear before an item is shipped. FedEx Gnd domestically BAX, USPS, UPS or FedEX Internationally. Buyer pays shipping costs. All items shipped fully insured. 48 hour inspection of item, buyer pays retrun shipping costs. Full refund upon receipt of returned item in the condition it was shipped. 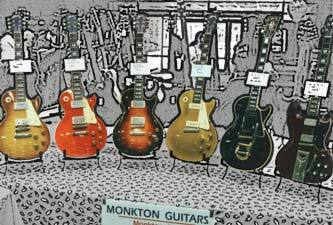 We accept returns even if the guitar was just not right for you. Customer satisfaction always comes first.